Released as an all-new model in 2018, the Stinger is a head-turning twist on the Kia brand. The daring sports sedan is a force on the road with up to 365 horsepower and 376 lb.-ft. of torque. With the bold new lineup of 2019 Kia Stingers on the lot, we put together a guide with everything you’ll need to know when deciding between the original and the newest addition. As is expected with newer models, car shoppers can find a slight bump in price from the 2018 to the 2019 Stinger model. 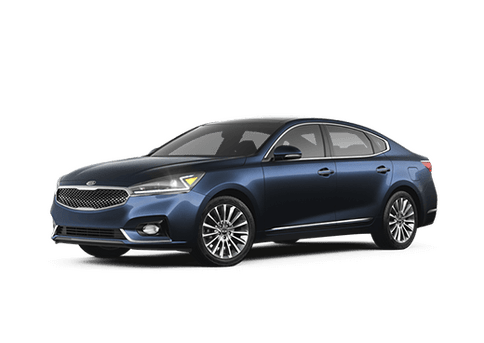 However, what Kia adds in the price for the newer model, it makes up for by upgrading the standard and available feature set. Read on to learn more about what’s new in the 2019 Kia Stinger. What’s New in the 2019 Kia Stinger? Built for the adrenaline-driven, one major change to the 2019 Stinger is the standardization of safety features such as Blind Spot Collision Warning and Rear Cross Traffic Collision Warning. These features come built in across all trim levels of the 2019 Stinger, including the base-level Stinger 2.0. The Sun and Sound package is another addition to the 2019 stinger lineup. With this bundle, drivers can enjoy a sunroof, touchscreen navigation, LED headlamps and enhanced 720-watt audio technology with 15 speakers.